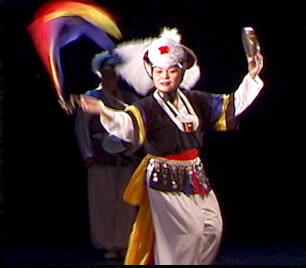 The International Peace Belt is worn during cultural dance performances and other non-violent expressions to promote peace between all people. S. Smith Patrick is a contributing cinematographer and editor. The International Peace Belt was made by Wendy Black-Nasta, the founder of Artists United for World Peace. She handcrafted the Peace Belt from sterling silver with coins and gems from 200 countries. It is Wendy's intention that the belt travels around the world and is worn by participants performing traditional cultural dances or other non-violent expressions. Thus, the Peace Belt is a living link between cultures and a symbol of peace between all people. Everyone is welcome and encouraged to participate. S. Smith Patrick has documented the Peace Belt in South Korea, at a Native American pow-wow, an Egyptian dance performance, at a temple in Vietnam, at a military checkpoint in the West Bank, and at a Hip Hop performance in San Francisco. The footage compiled from all the Peace Belt performances is updated annually in a documentary film project that celebrates the diversity of cultural expressions and promotion of peace as demonstrated with the Peace Belt. Artists for World Peace is a nonprofit organization that creates opportunities for artistic expression that fosters world peace and raises funds to benefit humanitarian causes.